It’s been there a bit now, but for those who have missed it the Moghul, well known as the only Indian restaurant in central Greenwich, have opened a takeaway version where the Bombay Bicycle Club used to be. Find it at 192 Trafalgar Road, Se10 9TZ. 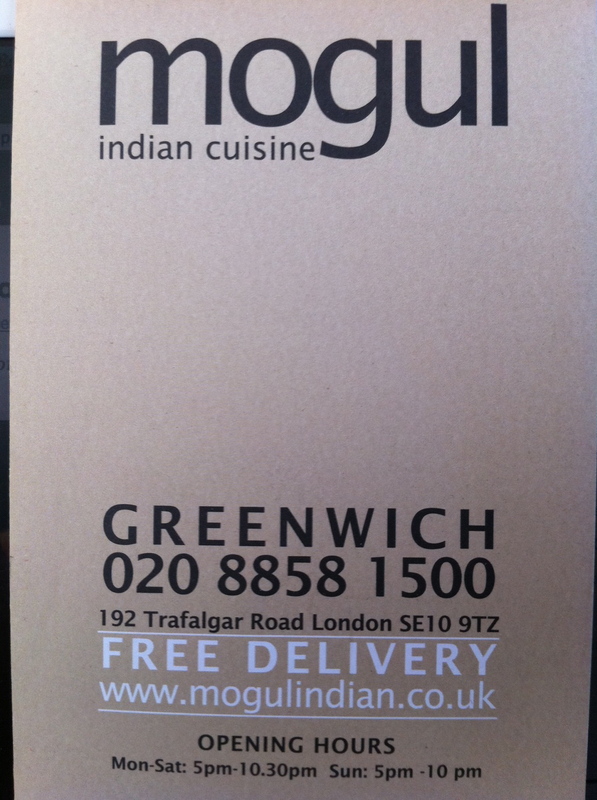 Tel: 020 8858 1500. http://www.moghulindian.co.uk. Open: Mon–Sat 5pm-10.30pm, Sun 5pm-10pm (last orders 20 mins before closing). Free delivery for orders of £15 and more.